DataRecovereyNAS.com provides worldwide External data recovery for External Hard Drives, USB Flash Drives and mass data storage devices. 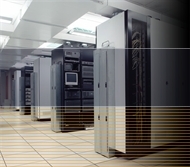 We also provide data recovery for Raid configured data storage devices and NAS devices. We provide data recovery for Hitachi, Seagate, Western Digital, IBM, Figitsu and Maxtor hard drives. External Hard drives and Network data storage devices were designed to backup the data on your computer. They were designed to be used to create a copy of your data. With the large volume of music and photo files generated today, many people find themselves using these devices as a primary data storage device. When the Hard drive crashes, they now find themselves without a copy of there data and in need of our External NAS Data Recovery services. It is strongly recommended when using your storage devices as a primary storage device that you include another hard drive as a data backup device. Flash Memory card DATA RECOVERY OF images from deleted or reformatted Compact Flash, Smart Media, Memory Sticks and other media storage cards Including the following extensions: TIFF, EXIF, JPEG, GIF, JPG, BMP, PNG and more.